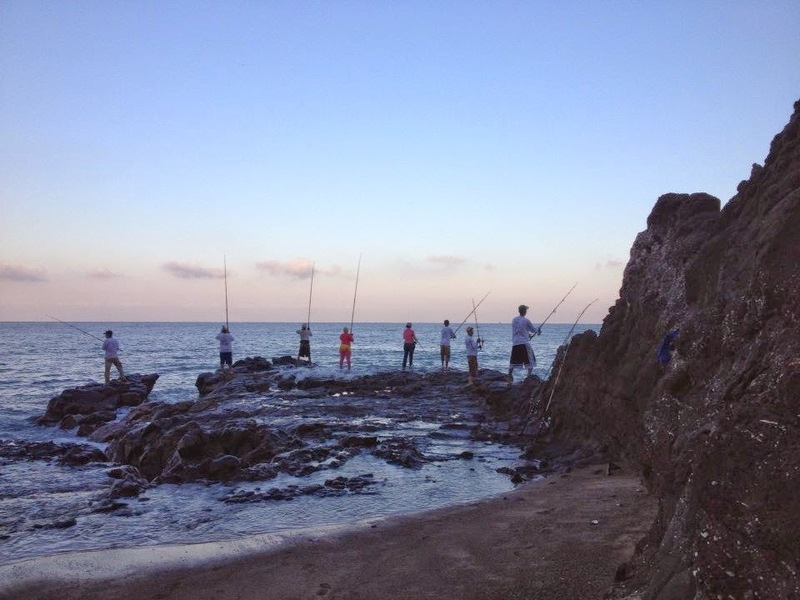 This weekend Zacualpan and Las Varas are expected to be jam packed with fishermen and their families gathered to enjoy casting out on the beaches of the Riviera Nayarit. The yearly sport fishing calendar on the beaches of the Riviera Nayarit is keeping busy: April 5-6 marks the return of the 6th Annual Boca de Chila Beach Surf Fishing Tournament to the shores of Zacualpan and Las Varas. The Tepic Surf Fishing Club and the Government of the State of Nayarit, as well as the Riviera Nayarit Convention and Visitors Bureau (CVB) are extending an invitation to lovers of the rod and reel to participate in this sports competition. Registration costs are $70 Mexican pesos on the 5th, when the 4th place winner will take the pool of 80% of the registration fees. On the 6th the registration fee goes up to $220 pesos and the top three places will win the pool as follows: 1st place 40%, 2nd place 20% and 3rd place 10%. All the prizes are based on the heaviest catch by species: red snapper, yellow tail, halibut, sierra, needlefish, dorado and snook. Minimum weights will be upheld in order to protect the species. Those interested in participating are invited to visit the Surf Fishing Tepic Facebook page. This is a non-profit event, as declared by Mario Real, President of the Tepic Surf Fishing Club. One of the characteristics of this tournament is its family atmosphere. Last year’s event boasted 66 participants, among them men, women, adolescents and children. The year before that had 41 participants, so the tendency towards growth continues. “On Saturday April 5th we’ll be starting off with a lightning tournament from 4 p.m. to 7 p.m. and afterwards the participants are invited to camp out on the beach and enjoy themselves. On Sunday the 6th the tournament begins at 5 a.m. and ends at the closing of the scales at 1 p.m. Following that the winners will be awarded their prizes on the podium,” explained the Club President. All times are shown in Pacific Standard Time (PST). The continuous nature of these tournaments guarantees plenty of practice and enjoyment for the fishermen, while continually generating tourism and positioning for the Riviera Nayarit in the sport fishing market.